Check out our favorite pins from Pinterest this week. 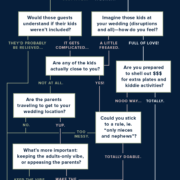 This week, we feature Unexpected Invites, Downton Inspiration and Kids at a Wedding on Pinterest. Don’t get us wrong- we love a gorgeous photo save the date and beautifully letterpress cards with all the details for the big day as much as the next person. But there’s something entirely thrilling about opening a fun “package” that doubles as a bit of an interactive activity like these balloon save the dates. 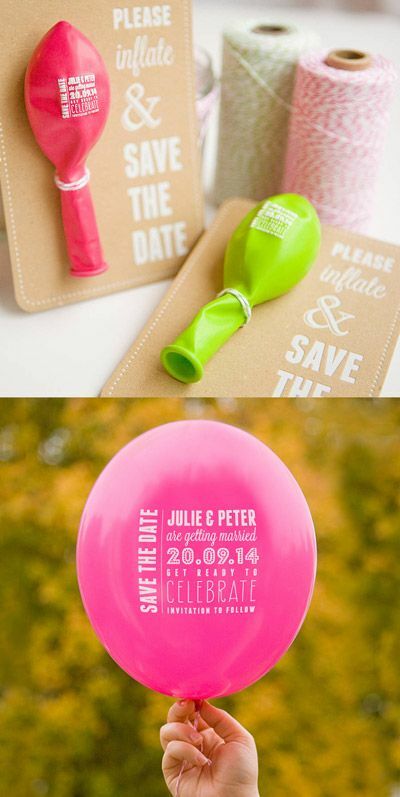 Guests are instructed to blow them up for all of the info cleverly printed onto colorful balloons. 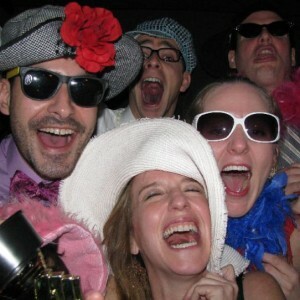 We can’t think of a better way to say “ this is going to be one fun wedding.” And the theme can be used so many ways too- printing the date and place on golf balls and sending them in small boxes, or even something simple like a novelty beach ball for a beach wedding is a perfect way to announce your plans. Whichever way you send it, keep in mind the postage costs and try to pick the best way possible to package it. And consider foregoing something else if this is a budget buster because this truly is a very memorable to kick off your big day. 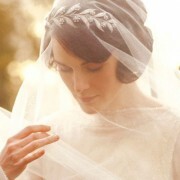 So if you haven’t already binge-watched the first 3 seasons of “Downton Abbey” like the ret of us then you better get on board, because the addicting 4th seasons is under way here in the U.S. And if you noticed a recent resurgence of long formal tables, long sleeved intricately beaded gowns, and vintage headpieces for weddings, it’s not just a friendly coincidence. 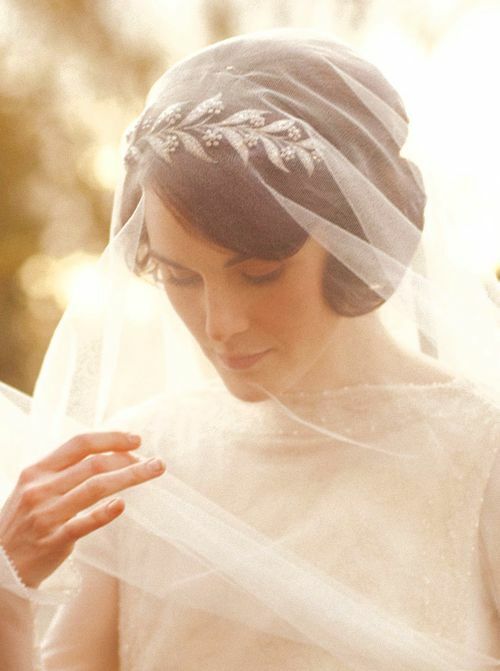 Brides are turning to Lady Crawley and the women of Downton for classic and timeless inspirations- and who can blame them? There’s something so romantic and elegant about this period piece and the return to the art of dressing is the perfect homage for a wedding look that is unique yet totally classic. 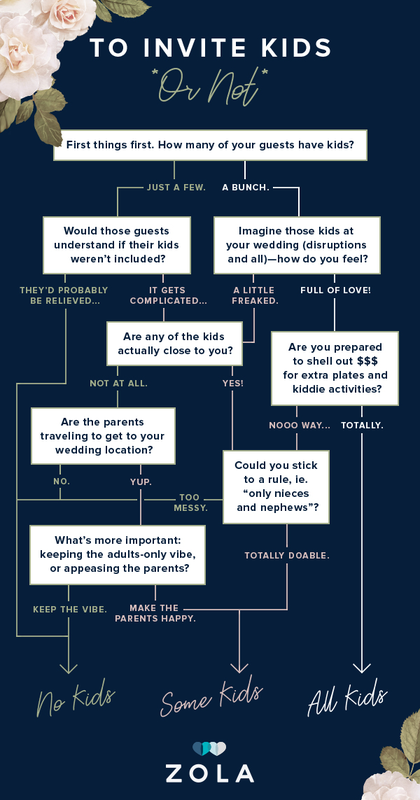 It’s always a huge etiquette question when it comes to kids at weddings. And while some couples who opt for a more formal night-time adults only try to gently say, “ NO KIDS THANK YOU,” others are all about having the youngsters as part of their day. Either way, we LOVE this idea of being super prepared and making a special tablescape for the kids at the event. Think ahead and keep it simples: mason jars full of yummy treats and candies with their names on them, cute vessels filled with crayons and stickers, placemats that double as mini chalk boards or sketch pads will keep them busy for hours and make it a memorable night for them and their parents!